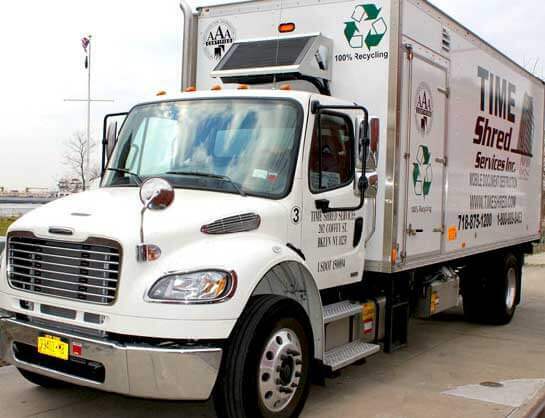 If you would prefer to bring your documents to us, instead of one of our mobile shredding trucks coming to you, Time Shred Services offers drop off shredding services to residents and businesses on Long Island and the New York City area at our Freeport Long Island location. Our drop off shredding service is document shredding while you wait, for both businesses and residents in Nassau, Suffolk and NYC. For just $1.00 per pound you can come to our Freeport Long Island Shredding center and have your documents shredded right in front of you. We have a minimum charge of $30.00. All costs are plus sales tax. Our Document shredding center offers a comfortable private shredding area for you to come to and have your documents securely shredded while you wait. Upon your arrival at Time Shred’s shredding center, you will be asked to sign or visitors log and you will be given a visitors pass that we ask that you wear during your entire visit to our shredding center. We will do all the work. Our staff will carry your documents from your car into the center. You will be invited into the private shredding room where you will be able to sit comfortably while your documents are shredded. We will weigh your documents then ask your permission to proceed with the shredding of the documents. Your private files and papers will be destroyed by our cross cut shredder right in front of you. You will also be able to see the shredded results. .
A Certificate of Destruction is available to document the shredding of your files. Sign in at our secure location and get your visitor badge. We take security seriously. A Time Shred staff member retrieves your documents from your vehicle. You don’t lift a box, bag or single page. Watch our shredding technician weigh and shred your documents in a private shredding room, with an industrial cross cut shredder, while you watch. 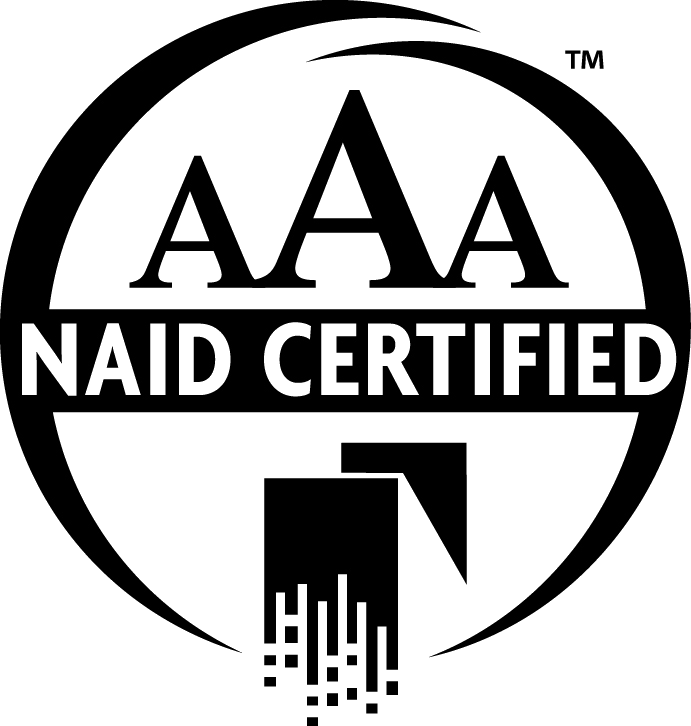 Time Shred Services is a NAID AAA Certified Drop Off Shredding and Mobile Shredding Service. What that means is we meet and exceeds the highest standards in the document destruction industry and your documents are securely shredded in compliance with all state and federal requirements. We are happy to answer any of your questions and assist you with the scheduling of your drop-off shredding service so give us a call. Monday-Friday from 7 a.m. – 6 p.m.